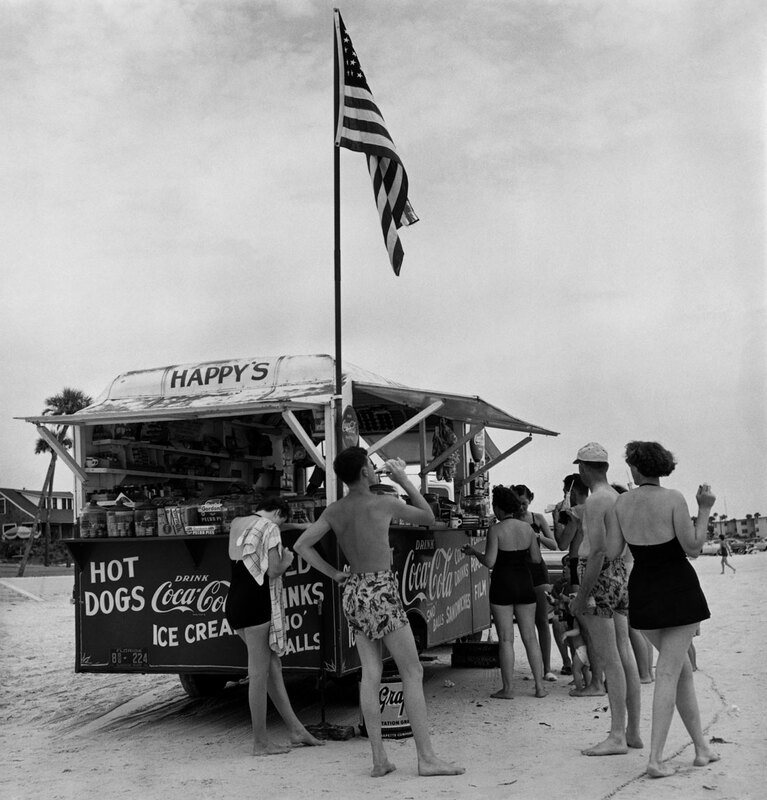 While Abbott’s photographs are definitely modernist in nature I believe that today they can also be seen as deeply nostalgic, emerging as they do in the period after the Great Depression when the economy was on the move again, a peaceful time before the oncoming armageddon of the Second World War, closely followed by the fear of nuclear annihilation and the threat of communist indoctrination. They are timeless portraits of a de/reconstructed city. The images seem to float in the air, breathe in the shadows. This is the disappearance of the moment into the enigma of past, present, future – where the photograph becomes eternal, where the best work of both Atget and Abbott resides. 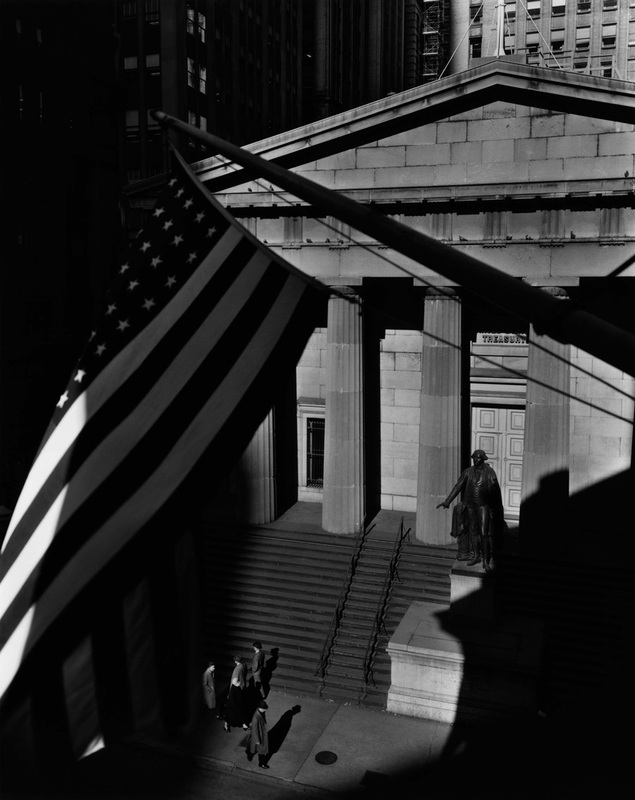 The exhibition features a substantial collection from Abbott’s best known project, Changing New York (1935-39). Commissioned by the Roosevelt administration as part of its response to the nationwide economic crisis, Abbott saw this piece of work as both a way of documenting the City and as a personal work of art. Eighty of the 305 photographs taken by Abbott are on show here, along with various documents providing insight into the background of this major photographic undertaking, including posters and views of the exhibition organized by the Museum of the City of New York in 1937, sketches and historical notes made by the team of journalists working with Abbott on the project, and proofs and dummies of the layout made by the photographer before she started work. Abbott homes in on the contrasts between old and new elements in the City’s structure. Her images alternate between a New Vision aesthetic, characterised by an emphasis on details and bold perspectives, and a more documentary style that is frontal and neutral. Rather than the kind of nostalgic approach often brought to bear on a city’s landmarks and typical sites, this ensemble offers an exploration of the nature of modernity and focuses on the ways in which the past and future are temporarily linked together. Seeking to reinvent the forms and functions of photography in relation to the practice of documentary, Abbott sets out to capture the “disappearance of the moment” by juxtaposing motifs from a city subject to an unprecedented process of demolition and reconstruction. In 1938, hoping to take advantage of the fifty million visitors expected at the New York World’s Fair of 1939, the publisher, E.P. Dutton, offered to bring out a selection of one hundred images from the project accompanied by a text by the renowned art critic Elizabeth McCausland, who also happened to be Abbott’s companion and staunch supporter. Going against the women’s original ideas for an art book, Dutton produced a more standard tourist guide, breaking the City down into a series of tours, from south to north and from the centre outwards. The text, too, was shorn of its poetic and pedagogical dimensions, leaving only informative entries about the buildings in the pictures. In the exhibition, this set of architectural photographs is rounded out by a selection of pictures of vernacular architecture taken by Abbott during a journey in the southern states of the US in the 1930s and when she was travelling along Route 1 in the 1950s. 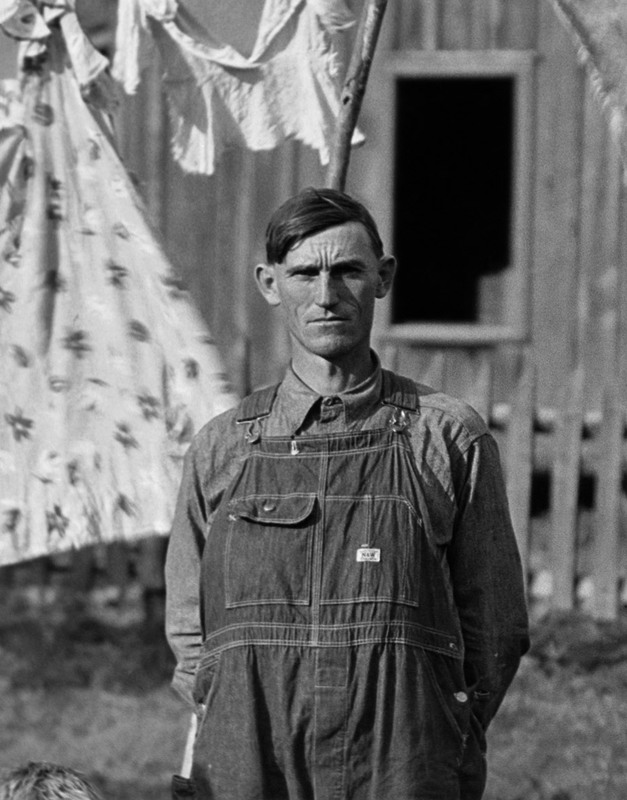 Here, portraits of farmers and wooden houses alternate with pictures of streets and local events. 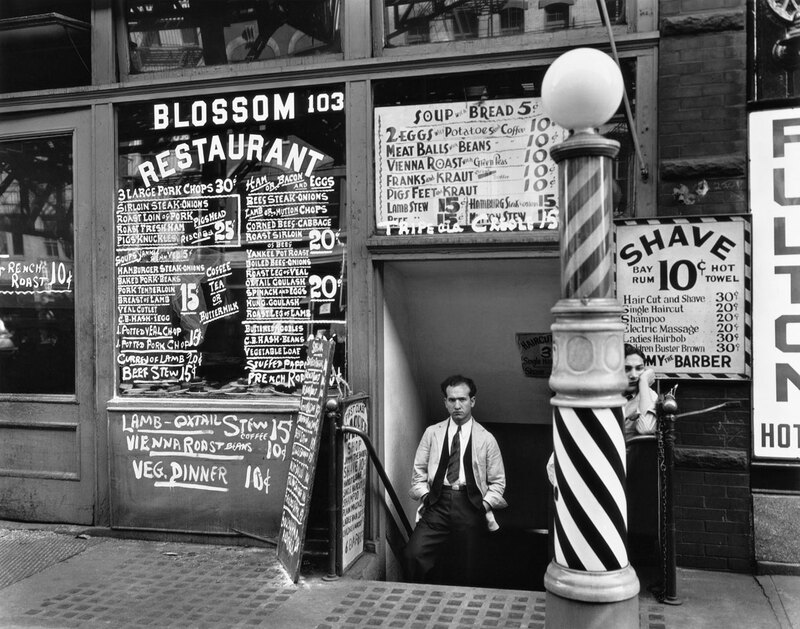 With over 120 photographs, plus a selection of books and documents never shown before, this is the first exhibition in France to cover the many different facets of the American photographer Berenice Abbott (1898–1991), who is also famous for her international advocacy of Eugène Atget. She came to Paris in 1921 where she learnt her craft from Man Ray before opening her own studio and embarking on a successful career as a portraitist. 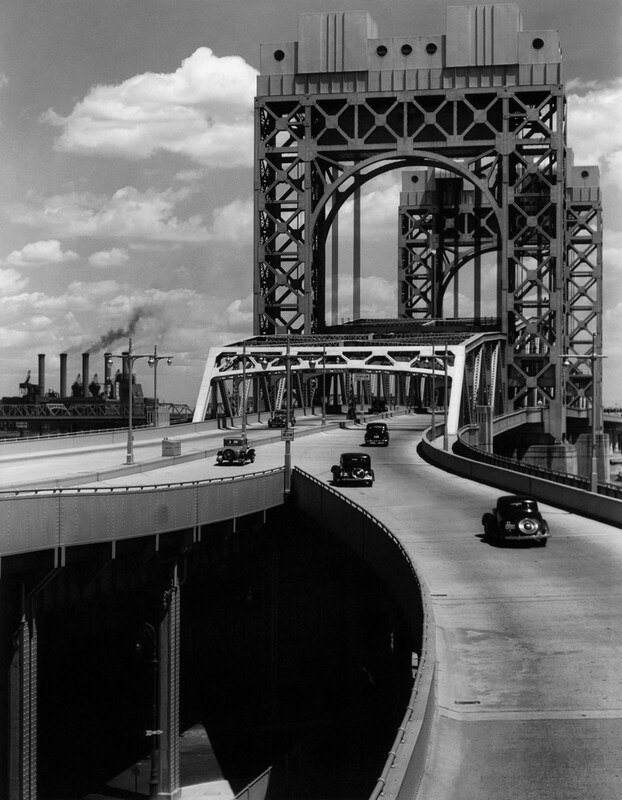 Returning to New York City in 1929, she conceived what remains her best‑known project, Changing New York (1935-39). This was financed by the Works Progress Administration as part of its response to the economic crisis sweeping the country. 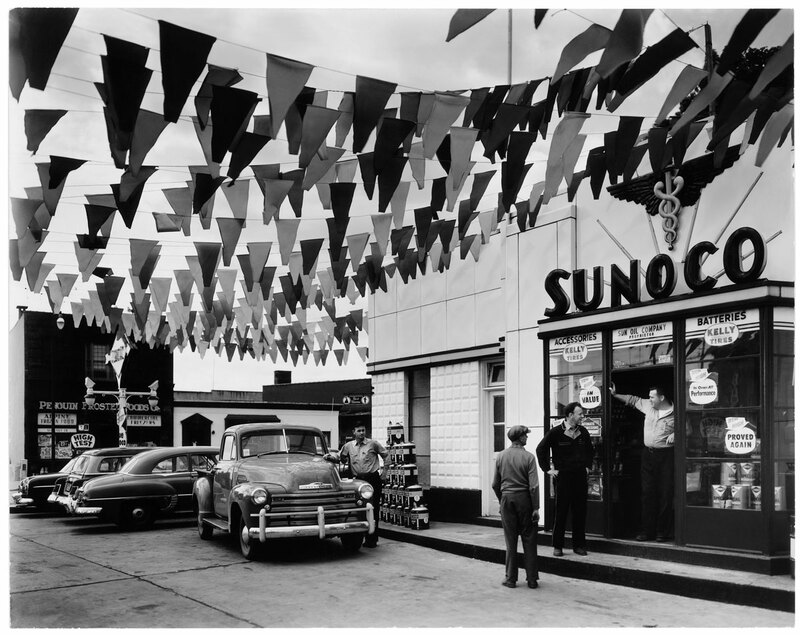 The photographs she took in 1954 when travelling along the US East Coast on Route 1 (the exhibition presents a previously unseen selection of these images) reflect her ambition to represent the whole of what she called the “American scene.” Furthermore, in the 1950s, she also worked on a set of images for the Massachusetts Institute of Technology (MIT) designed to illustrate the principles of mechanics and light for educational purposes. A committed member of the avant‑garde from the early 1920s, and a staunch opponent of Pictorialism and the school of Alfred Stieglitz, Abbott spent the whole of her career exploring the limits and nature of documentary photography and photographic realism. This exhibition shows the rich array of her interests and conveys both the unity and diversity of her work. 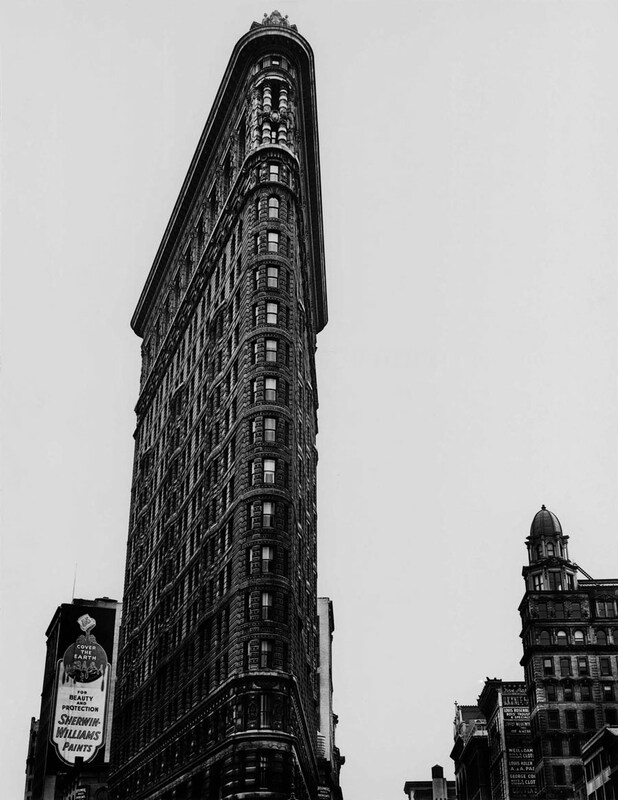 Berenice Abbott moved to New York City in the early 1920s and went about becoming a sculptor. Mixing in the bohemian circles of Greenwich Village, she met writers and artists such as Djuna Barnes, Sadakichi Hartmann and Marcel Duchamp. She also posed for Man Ray. Economic hardship at home and the allure of what then seemed the cultural Eldorado of Europe impelled several of these artists to try their luck in Paris, and Abbott herself joined this group of American expatriates in 1921. In 1923 she became the assistant of Man Ray, who had opened a portrait studio shortly after his arrival in France in 1921. While a fair portion of the studio’s clients were American tourists, Abbott found herself at the heart of the avant-garde scene – especially that of the Surrealists. Between 1923 and 1926 she thus learnt about darkroom techniques and portrait photography while at the same time picking up a broader intellectual and artistic education. She produced her portraits in Man Ray’s studio before opening her own in 1926. Success soon followed. Her clientele was a mixture of French cultural figures and American expatriates, of bourgeois, bohemians and literary types. Her portraits were on occasion manifestly influenced by Surrealism, and more generally show an interest in masquerade, play and disguise, but sometimes even in their use of overprinting and distortion. The female models express a kind of sexual ambiguity, notably by their masculine haircut or clothes, deliberately exuding a sense of uncertainty with regard to their identity. In composing her portraits, Abbott developed a distinctive aesthetic, far removed from the usual commercial conventions. The absence of a set, with the background usually no more than a plain wall, helped to focus on the sitter and their posture, the position of their body and their facial expression. The use of a tripod and long-focus lenses placed at eye-height allowed her to avoid distorsions and thus heighten the physical presence of the models. In early 1929 Abbott left Paris for New York City. 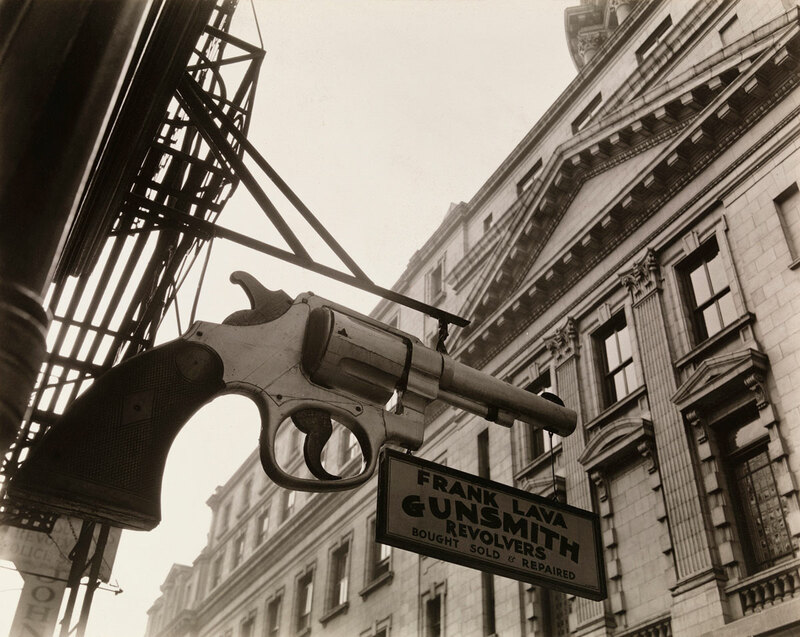 Back in America she continued with the same activities, opening a new portrait studio and taking part in exhibitions of modernist photography, while also promoting the work of Eugène Atget, having bought part of his estate in 1928. In the early 1930s, Abbott set about her project for a great documentary portrait of the City of New York, but had no luck when she approached institutions such as the Museum of the City of New York and the New York Historical Society for funding. 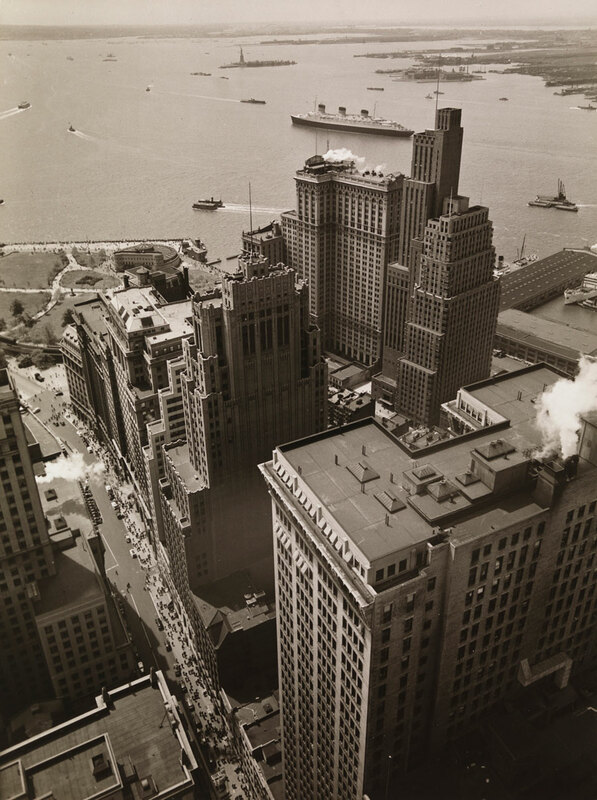 She assembled her first efforts in an album (eight pages of which are exhibited here) in order to convey the scale of her ambitious undertaking, and in 1934 exhibited her photographs of the City at the Museum of the City of New York in the hope of attracting sponsors. In 1935, support was at last forthcoming from the Federal Art Project, a programme set up to aid artists by the Works Progress Administration as part of the New Deal; she now had the support of a team of researchers who produced an information pack with text and drawings to accompany each image. Entitled Changing New York, she conceived this commission as both a vast documentary record of the City and a personal work of art. 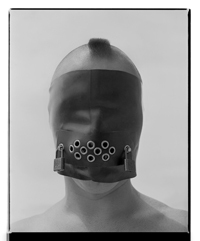 Eighty of the 305 photographs constituting this project have been selected for the exhibition. These are accompanied by documents – a poster, exhibition views, sketches and historical notes, proofs, pages from the preparatory album and original editions – that help to convey the concerns and ambitions behind this major photographic undertaking. Abbott focused on the contrasts and links between old and new in the City’s structure. Her images alternate between a New Vision aesthetic, characterised by an emphasis on details and bold perspectives, and a more documentary style that is frontal and neutral. Rather than the kind of nostalgic approach often brought to bear on a city’s landmarks and typical sites, this ensemble offers an exploration of the nature of modernity and focuses on the ways in which the past and future are temporarily linked together. Seeking to reinvent the forms and functions of photography in relation to the practice of documentary, Abbott sets out to capture the “vanishing instant” by juxtaposing motifs from a city subject to an unprecedented process of demolition and reconstruction. 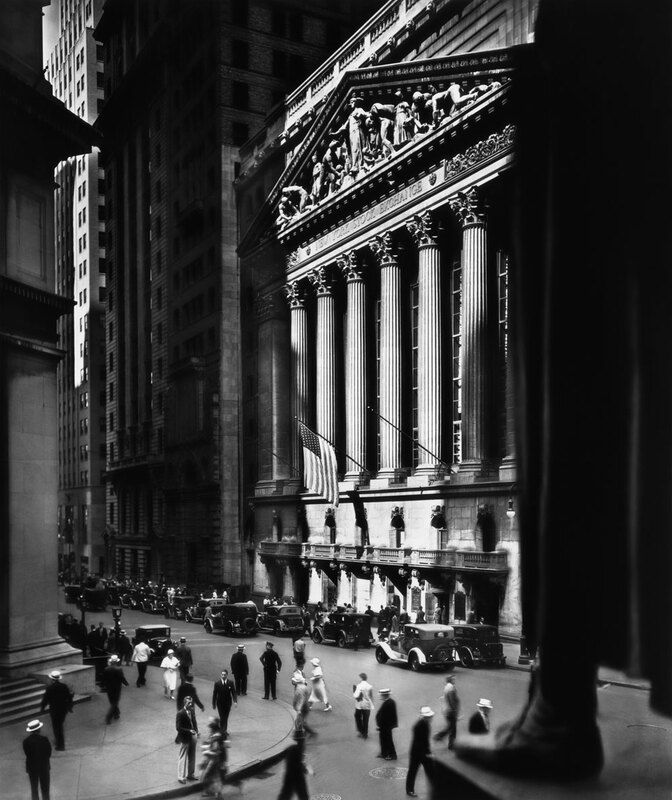 The upshot of all this work was the publication of a book, Changing New York, in 1939. But there was considerable tension between the publisher, whose concerns were commercial, and the photographer, with her artistic ambitions. In 1938, hoping to take advantage of the fifty million visitors expected at the New York World’s Fair of 1939, the publishing house E.P. Dutton proposed to bring out a selection of one hundred images from the project accompanied by a text from the renowned art critic Elizabeth McCausland, who also happened to be Abbott’s companion and unfailing supporter. Straying far from the project originally envisaged by the two women, Dutton changed the presentation of the photographs and produced what was a standard tourist guide, breaking the City down into a series of tours, from south to north and from the centre outwards. The text, too, was shorn of its poetic and pedagogical dimensions, leaving only information about the buildings in the pictures.